Marble Neptune & Gryphons Fountain with Basin | Metropolitan Galleries Inc.
Marble Neptune & Gryphons Fountain with Basin by Metropolitan Galleries was carved by skilled sculptors, from quality marble stone. Marble sculpture is the art of creating three-dimensional forms from marble. Metropolitan Galleries offers a diverse and custom selection of carved marble fire place mantles, beautiful hand carved marble sculpture garden art items such as marble tier fountains, marble statuary, marble animal sculpture among an assortment of various genres and variable stone color selection, as well as custom sculpture development capabilities. Metropolitan Galleries also specializes in the design and development of Custom Marble Sculpture design and development. Marble Sculpture, has a visual depth beyond it’s surface and adds beauty and elegance to it’s design application. 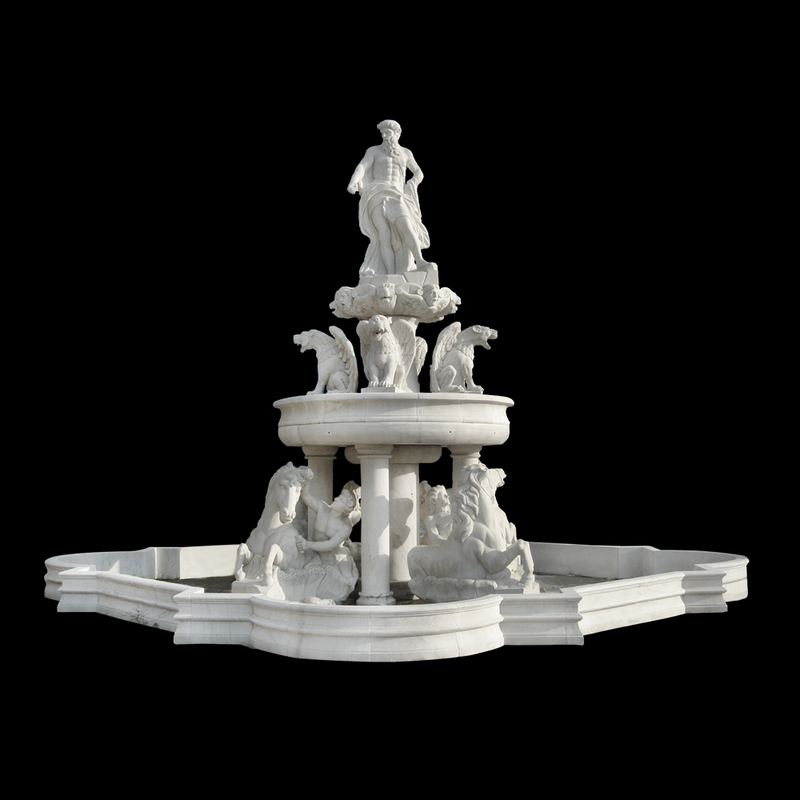 If you have any questions regarding this Marble Neptune & Gryphons Fountain with Basin or any marble item in our product line, please reach out to our corporate office and warehouse at 1-800-929-1681.